Additional palatable chocolate gelt choices include ethical ingredients that are certified Fair Trade. Fair Trade standards prohibit the use of child and slave labor, a problem particularly in cocoa sourced from West Africa. Ashira Abramowitz’s project for her Bat Mitzvah at Kol Haneshama synagogue in Jerusalem seeks to insure that Strauss, the biggest chocolate company in Israel, sells only Fair Trade chocolate. To support Ashira’s campaign to bring Fair Trade chocolate to Israel, sign her petition. Ashira learned about Fair Trade from her older sister, Hallel, who traveled with American Jewish World Services to Ghana. There Hallel learned about child slavery on cocoa farms. Hallel returned to Jerusalem a committed Fair Trade consumer. I spoke with Daniela Prusky-Sion who is the International Corporate Responsibility Manager at Strauss Group. She was very friendly and assured me that they are using ethical chocolate but that their corporate social responsibility essentially ends at the suppliers of the cocoa … I spoke about the importance of not supporting child slavery, especially for Passover chocolates. She thanked me for wanting to help and wished me Mazal Tov on my Bat Mitzvah. Ashira invited Strauss Company chairwoman, Ofra Strauss, to her Bat Mitzvah where challot with Fair Trade chocolate caramel bars mixed in will be served in tribute to Ashira’s childhood favorite. 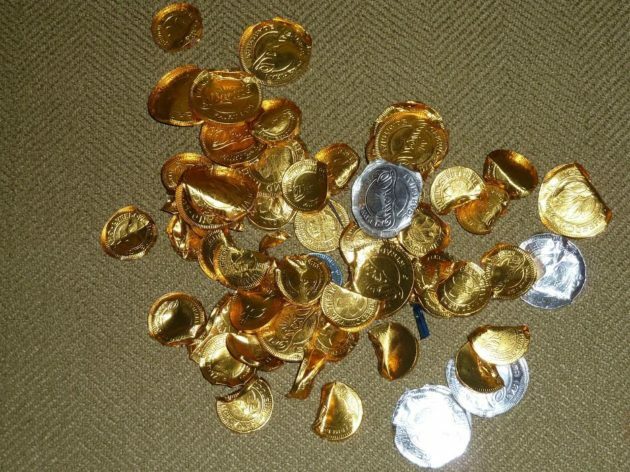 Fair Trade Chanukah gelt will also be distributed. 1. Divine Chocolate offers a Fair Trade, organic, kosher dark chocolate coin as well as a milk chocolate option, both are produced through a women’s cooperative, Kuapa Kokoo, in Ghana. The phrase “Freedom and Justice” encircles the foil-embossed cocoa tree wrapper, perfect for Hanukkah. A collaboration among Fair Trade Judaica, T’ruah and Divine offers easy ordering and supports these two non-profits. 2. Lake Champlain Chocolates packages its milk chocolate coins in festive Hanukkah boxes. They are Fair Trade and kosher. The brief learning materials developed by Hazon and several partners titled Spinning the Dreidel for Chocolate Gelt highlight guilt free gelt. A Kavanah prayer, “Eating [Fair Trade] Chanukah Gelt,” by Rabbi Menachem Creditor recognizes the potency of blending chocolate with Hanukkah’s theme of enlightening the world’s dark places. Show good taste by bringing justice to Hanukkah chocolate this year. Rabbi Deborah R. Prinz lectures about chocolate and Jews around the world. Her book, “On the Chocolate Trail: A Delicious Adventure Connecting Jews, Religions, History, Travel, Rituals and Recipes to the Magic of Cacao” (Jewish Lights), is in its third printing. Prinz also writes for The Huffington Post and The Forward. The book includes discussions about ethical chocolate choices, the development of Hanukkah gelt into chocolate, the idea that Jews brought chocolate making to France, Israeli love of chocolate, how chocolate outed Jews during the Inquisition and more.